Hi, friends! I know it’s been awhile since I’ve blogged over here on my own blog, and I feel terribly bad about that! March was a killer… and to be honest, April isn’t looking any better. Anywho, I’ll spare you all of my rambling on about the details of my busy schedule. Ain’t no tired like teacher tired! 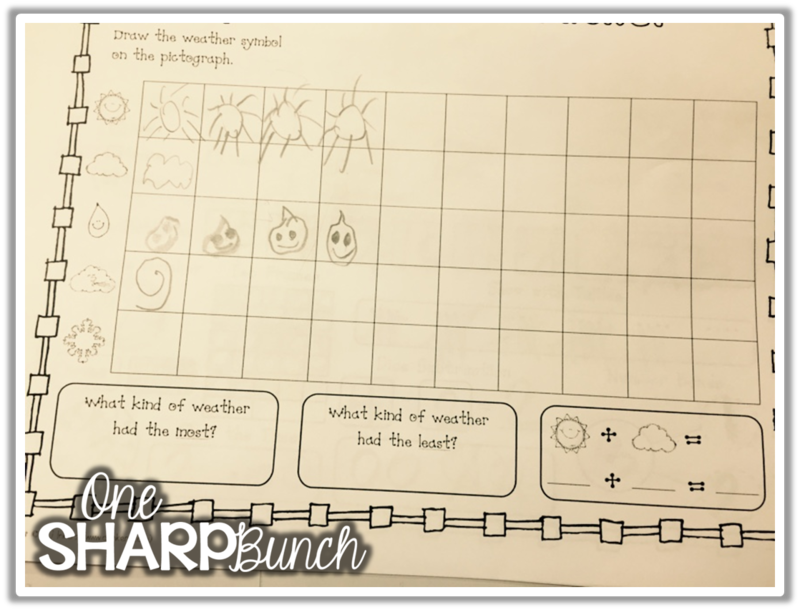 I had every intention of linking up with my bloggy buddies Ashley and Angie early, but spring break happened, and then report cards happened, and then the craziness after break happened. And since I promised my name twin that I would link up, here I am! A promise is a promise! Let’s dive right into the day in the life of a kindergartner…. Our day begins at 8:55, but technically I still have my breakfast eaters straggling in until about 9:10. As the students enter the classroom, they will drop their take home folders in the tray, make their lunch choice, and begin working on their morning work. 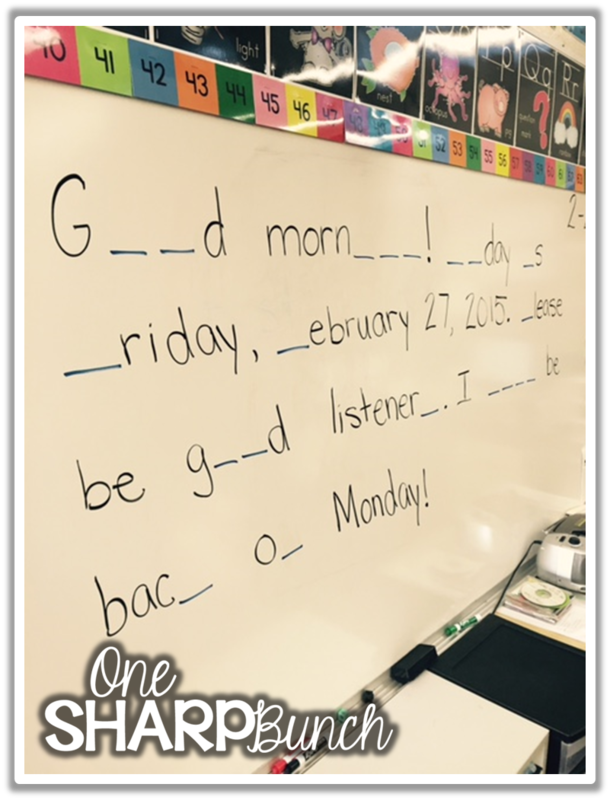 When morning work is finished, the students use words from the word wall and write three sentences on the back of their paper. Then, they get their book box to read. This simple routine gives me enough time to take lunch count and attendance. 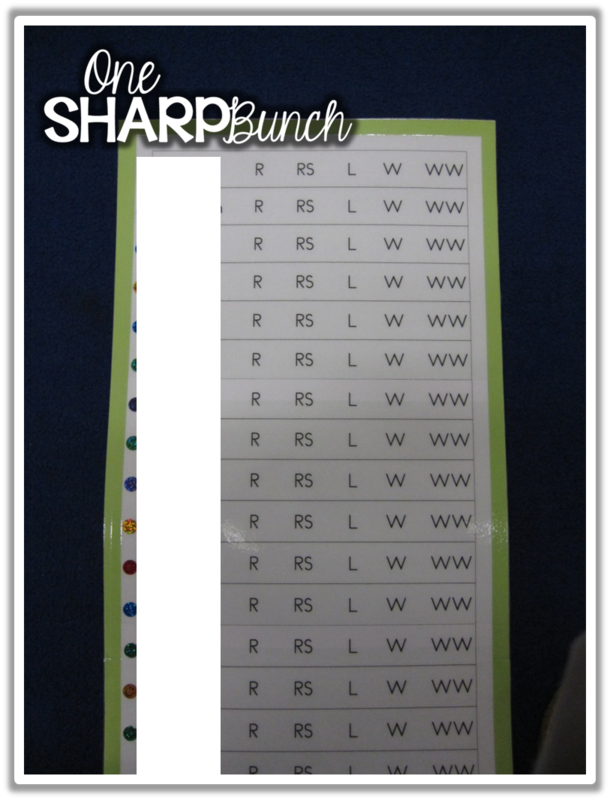 Grab the free lunch count labels below! The morning meeting begins with a mystery message that I write on the board. The students help me crack the code. In the beginning of the year, I will leave off some initial sounds. As the year progresses, we move on to filling in ending sounds, middle sounds, vowel pairs, and even chunks. After we’ve solved the mystery, we read the message, making sure to practice our voice as we encounter different types of punctuation. I do realize the below message is missing the word “a”… it was a teachable moment for us all! After the mystery message, the students open their calendar math binders. I project each page on my IWB, and the students work in their binders. We still have a wall calendar, as well as clip collection and tally mark display, that we update each day. The clip collection hooks on that wooden strip to the right. It actually has 18 mini hooks screwed into it. After we have a chain of 10 paperclips we move it to the tens side. You can’t see the paperclips in this picture, because it was taken before school began. The tally mark sheet is just below the clip collection. Did I mention I love math?!? I do! I really do! 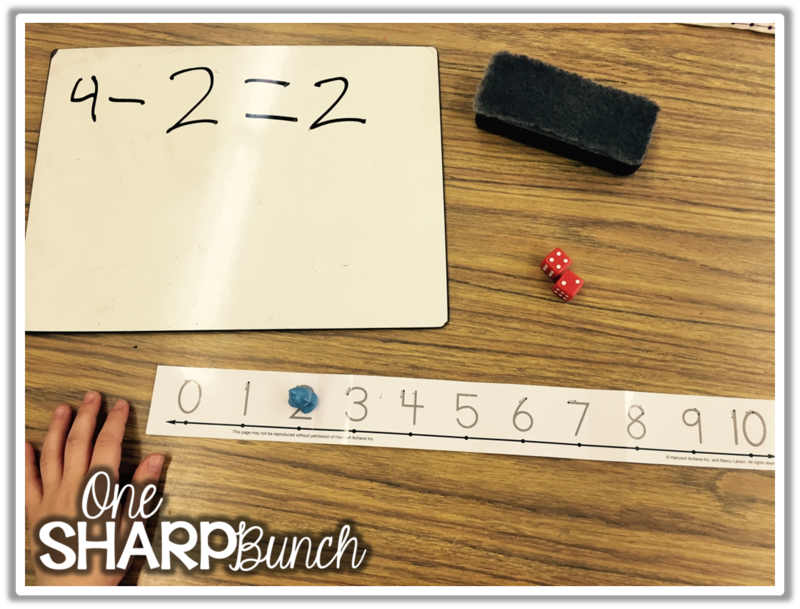 Our math block follows somewhat of a workshop model and consists of many elements, including a fluency component, mini lesson, guided practice (often with a partner), independent practice, math talk or share, as well as math tubs and guided math groups. Each lesson begins with a quick fluency activity. One of our favorites is using the rekenreks to build numbers. After the mini lesson, the students will have time to practice that skill or concept. I walk around the room during this time and assist students. Here, we are practicing subtraction on a number line. One student rolls two dice and places the teddy bear on the greater number. He/she will then hop backwards to solve the problem. The second student records the equation on the dry erase board. Then, they switch jobs (hopper and recorder). Next, it is time for the students to practice what they have learned by working independently, and then gathering for our math talk time. 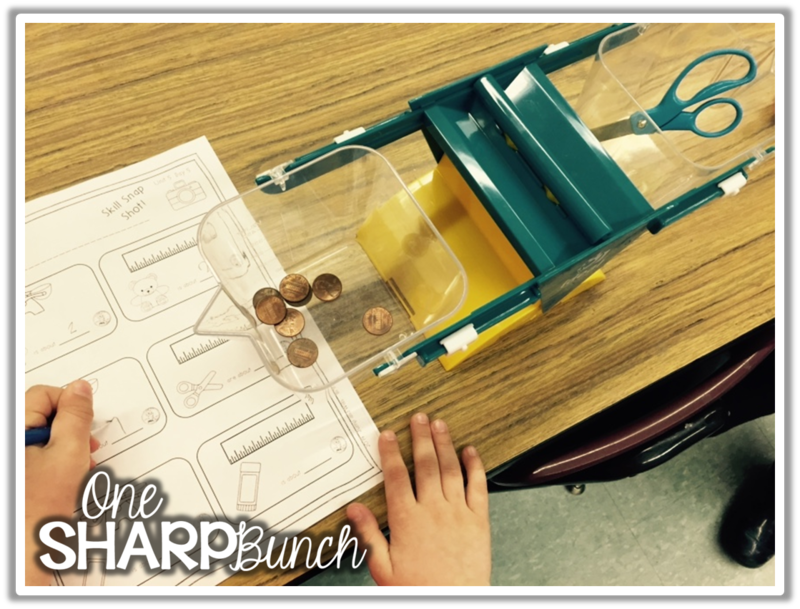 Here, a student is weighing and measuring classroom objects. After our math talk, we work in our math tubs for about the next 20 minutes. I have eight math tubs with three or four students per tub. This is one of our favorite times during the day! While the students are working with their group, I pull students back to my table to provide extra practice with difficult skills and concepts. We are fortunate enough to have a 20 minute recess followed by lunch each day. I love that recess is before lunch! That way the students do not rush to eat because they want go outside to play. After lunch, we make our choices for Daily 5. Yes, I allow my kiddos to select their Daily 5 area! I mark of their choice on our Daily 5 board, using a different color vis-a-vis marker for each round. 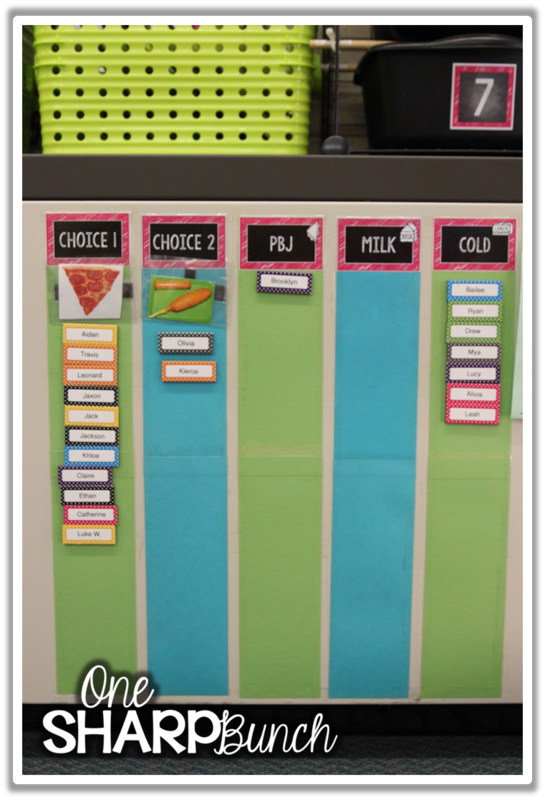 This visual helps the students remember which areas they have already chosen. The little colored stickers next to their name are the days they get to shop for books (five colored groups, one group per day). They keep their books, along with their reading notebook, inside their book boxes. As the students are working at their Daily 5 areas, I pull guided reading groups back to my reading table. We work together in a guided reading format. You can read more about how I organize and schedule our guided reading lessons by clicking on the picture below. We love Heidi Songs! I began using her sight word songs last year, and I can honestly say that they have helped my kiddos learn their sight words so much faster. We follow Lucy Calkins and the workshop model for writing. I begin with a quick mini lesson, followed by independent writing time and conferencing. During this time, the students use our writing checklist to write independently. As I conference with students, I focus on individual goals. You can read more about my writing block and grab this FREEBIE by clicking the picture below. We conclude with an author’s share. I typically choose two or three students, who I felt implemented the ideas from the mini lesson in their work, to share their piece. Click the picture below to see how I create independent writers! Our literacy block begins with a shared reading. During shared reading, I choose a big book that we will read for the entire week. This is when I introduce and model reading strategies. Each day, I focus on a new skill. On day 1, we always take a picture walk and make predictions. On day 2, we reread and make connections with the text. On day 3, we reread and discuss the text. Does it repeat? Does it rhyme? Are there any surprises? On day 4, we read and focus on a teaching point. This might be highlighting a particular word wall word, beginning sound, chunk, word ending, etc. On day 5, we complete an extension activity. This could be a retelling, written response or connection, or acting out the story with props. Part of our literacy block includes phonics and phonemic awareness instruction. We use Fountas & Pinnell, but I like to supplement with hands-on activities, like the one we completed below during March is Reading Month. In the beginning of the year, I introduce our letter chart and letter box. Each student will have a chance to take the letter box home. When it is their turn, they will bring in 3-5 items that begin with our focus letter. Click on the picture below to read more about our letter box and grab this FREEBIE! Our literacy block concludes with a round of literacy tubs. This is another favorite time in our day! Here we are rhyming, identifying syllables, segmenting and sorting by middle sound, recognizing beginning digraphs, and practicing proper sentence structure. While the students are working at their literacy stations, I meet with a couple more guided reading groups. I typically meet with three groups per day. My guided reading lessons are structured like a workout, beginning with a warm-up activity during which time we warm-up our brains; a workout during which time we read and interact with the text; and a cool down during which time we practice sight words or fluency. Read more about our warm-up activities by clicking below. We have five specials, including art, music, media center, physical education, and Spanish. Our students go to one special per day, during which time I plan and prep for upcoming lessons. We also meet as a grade level once per week to collaborate, vent, and cheer each other on. I cannot say enough about our poetry binders. The kids love them! I love them! I’m hoping the parents love them! Each week we add a new poem to our binder. We practice the poem in class over and over and over again. We make up hand motions to go with the poem. We track print. 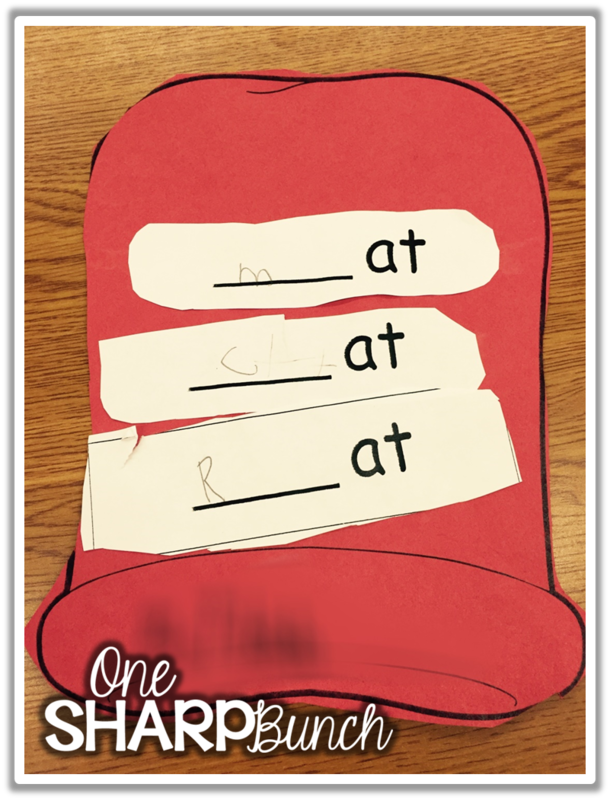 We focus on a new phonemic awareness skill, word wall word, or concepts of print area each day. 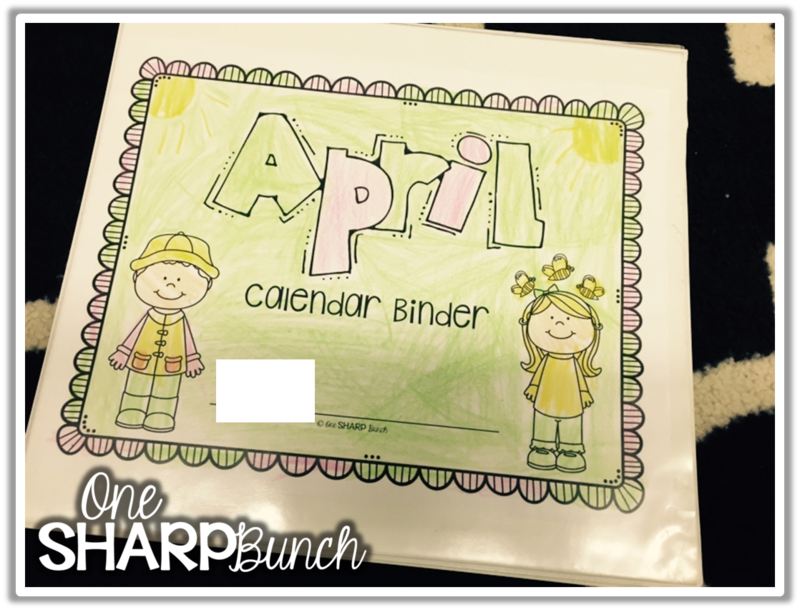 The students take these binders home, and complete the same activity for homework. Plus, this repetitious reading helps build our reading fluency. 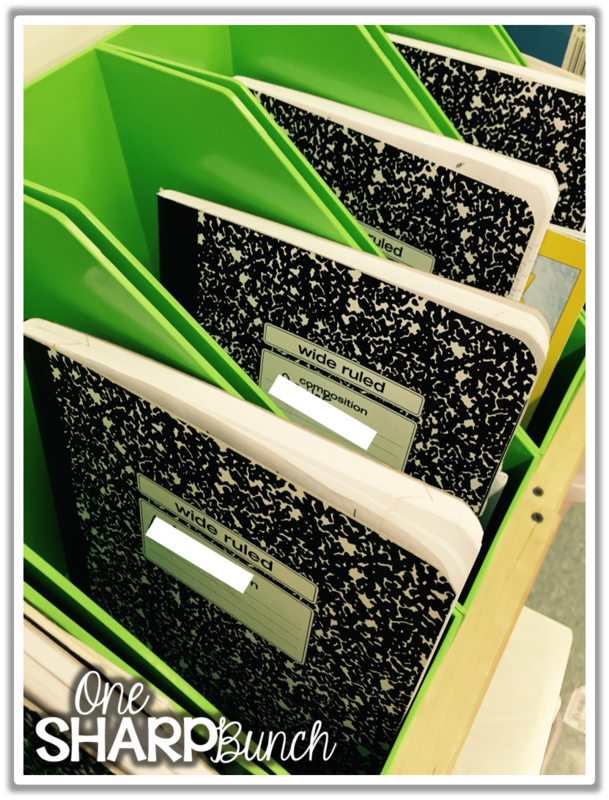 You can read more about my poetry binders over on Miss Kindergarten’s blog! I think this is pretty self explanatory, but I will take a brief second to talk about our take home folders. Before school begins, I make a take-home folder for each student. I label one pocket with “Keep at Home” and the other with “Return to School.” The students place any finished work and notes in the “Keep at Home” side. Notes that need to be signed, lunch money, and our behavior calendars go in the “Return to School” side. I’ve found that poly folders work the best. We get ours from School Specialty. I’ll be back with a picture! During this time, the students build social skills. They learn how to interact, share and take turns with other students. They learn how to problem solve and be creative. Play is a very important part of our day! At the end of the day, we may sing a few songs, review our poem, read a story, or play a fun game. Then, I ‘ll choose one student to be the anteater. The rest of the students will find three pieces of trash on the floor. They take it to the anteater to inspect and count. If the anteater says “yes,” the student may line up for dismissal. If the anteater says “no,” the student has to find more trash. They love it! I love it! Our nighttime maintenance crew loves it! As you can see, we spend every second of our day engaged in learning in some way, shape, or form! We are busy, busy, BUSY! If you’d like to see more classroom schedules and plans, head over to my “Plans & Schedules” board on Pinterest. 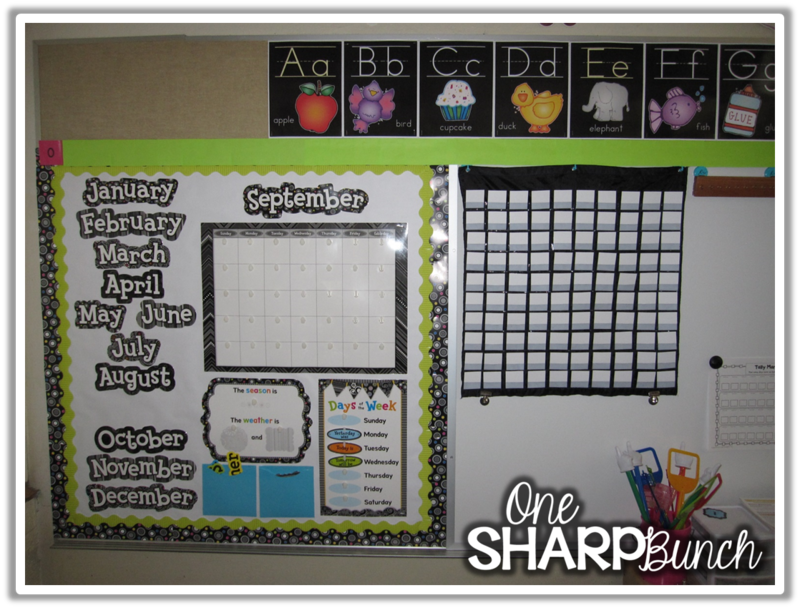 Follow One Sharp Bunch’s board Plans & Schedules on Pinterest. 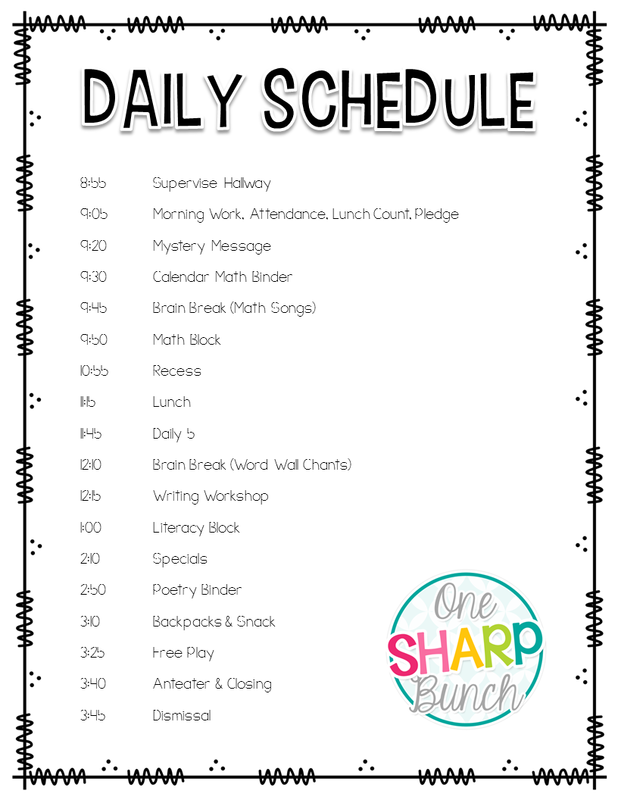 Don’t forget to check out all of the other daily schedules by heading over to Schroder’s Shenanigans in 2nd or Lucky Little Learners! Thanks for hanging on all the way to the end of this very long and picture overloaded post! Wow! Great post, Ashley! So informative!! Loved seeing inside your classroom too. I use morning message like that as well and we have a very similar schedule…but we end at 3 (you have a super long day!). I'm over here bashing my brain with ideas for Daily 5. I use my own version of it but would like to get more done next year. I have to teach Science and Social Studies during the day so most of the time i only get to two groups. I love your schedule. Oh Ashley! You have such a beautifully organized classroom! I love how informative this post is… I feel like I'm right there in your classroom! I also LOVE your mystery morning message! I don't know how I have never thought of it, but I'm definitely finding a way to incorporate it tomorrow! Thanks for the great ideas!